​Ever since its establishment in 2011, Sole Slam has been gearing up to move towards the global stage by solidifying its place locally. Founded by Antonio Aguirre Jr. together with the creative vision of Ira Cordero and the business experience of Luis Carballo, Sole Slam rose into becoming a cultural hub that promotes contemporary fashion, music, art and sports. With sneakers being the driving force, Sole Slam started off as a sneaker convention that spawned independent stores which evolved into a brand all on it’s own. Having the sneaker culture at its core, Sole Slam has grown to encompass the different sub-cultures related to it. Being the first sneaker convention in the country, Sole Slam has become the major platform for local streetwear brands. It is because of this that the brand decided to open it’s own concept store. Enthusiasts wanted a taste of the Sole Slam experience without having to wait for the next event. The brand decided to partially recreate that atmosphere through offering products found in the event inside its concept stores. The personal identification of aficionados with the Sole Slam name led to the birth of the Sole Slam line. Through this instrument, fans identified themselves with the brand as well as what it stands for. As the brand continues to evolve, it shall simultaneously push the country’s rapidly growing sub-cultures. The ultimate goal is to transcend from being a contemporary reference into achieving tastemaker status. 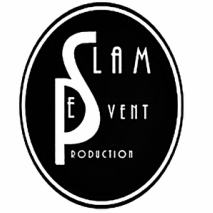 Sole Slam will be the name that stands for cultural progress.Ever since its establishment in 2011, Sole Slam has been gearing up to move towards the global stage by solidifying its place locally. Founded by Antonio Aguirre Jr. together with the creative vision of Ira Cordero and the business experience of Luis Carballo, Sole Slam rose into becoming a cultural hub that promotes contemporary fashion, music, art and sports. With sneakers being the driving force, Sole Slam started off as a sneaker convention that spawned independent stores which evolved into a brand all on it’s own. As the brand continues to evolve, it shall simultaneously push the country’s rapidly growing sub-cultures. The ultimate goal is to transcend from being a contemporary reference into achieving tastemaker status. Sole Slam will be the name that stands for cultural progress.